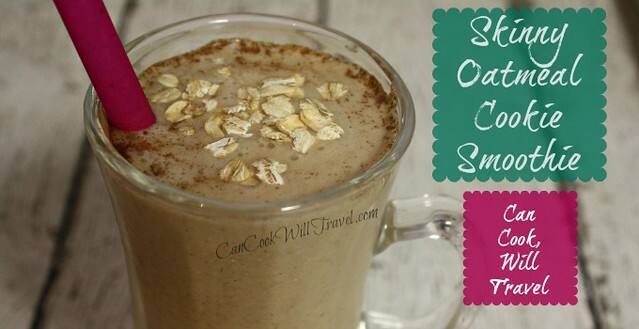 This Skinny Oatmeal Cookie Smoothie makes for the perfect snack. 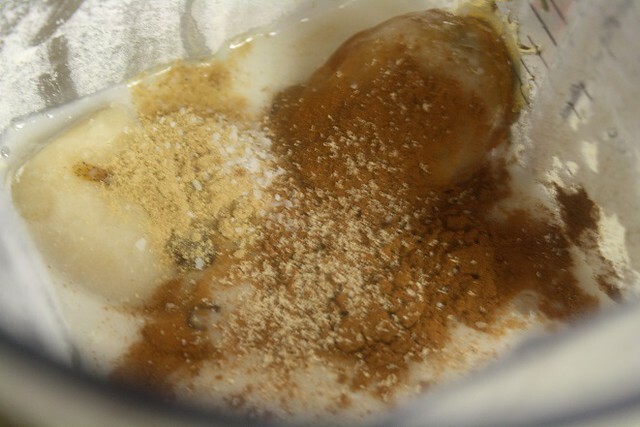 Here’s what you’ll need: Unsweetened Almond Milk, Old-fashioned Oats, Ground Ginger, Cinnamon, Vanilla Bean Paste (or Vanilla Extract), Fresh Nutmeg, Honey, Salt, and 1 frozen Banana. 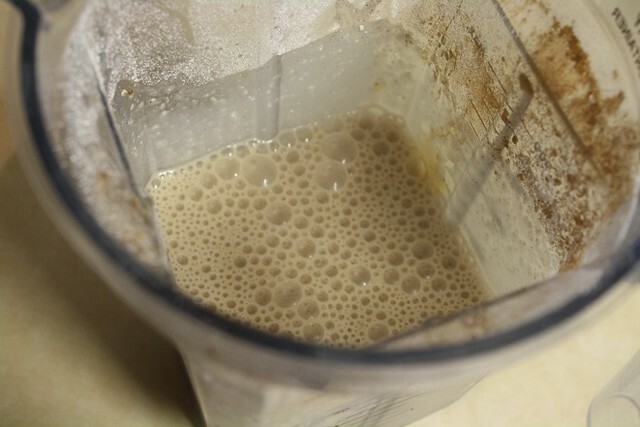 Begin by pouring 1/4 cup of old-fashioned oats in your blender. 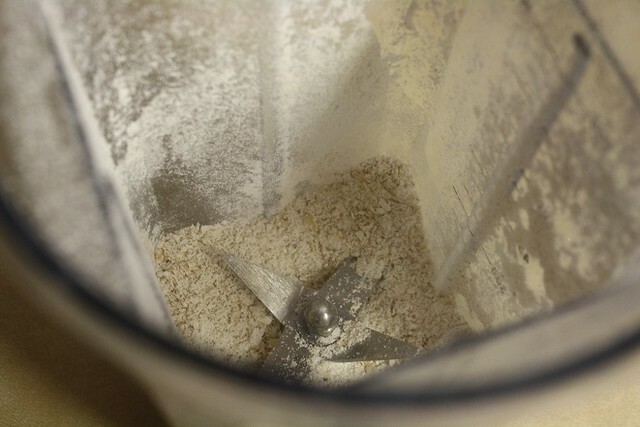 Pulse the oats in the blender until they are finely ground as you can see in the photo above. 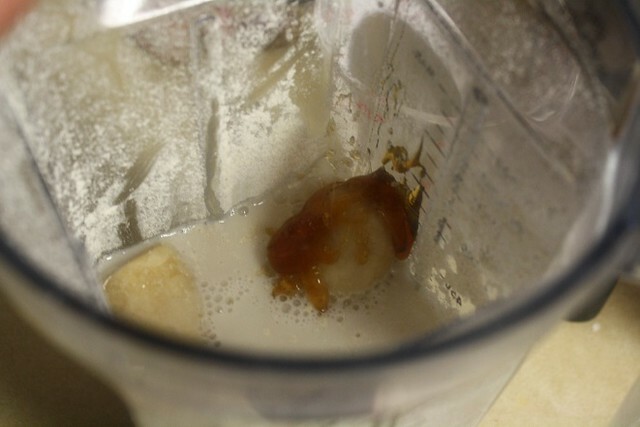 Then add 1 cup of Almond Milk. Add 1 or 2 tablespoons of honey, whichever you prefer. I went with about 1 tablespoon, which worked great. 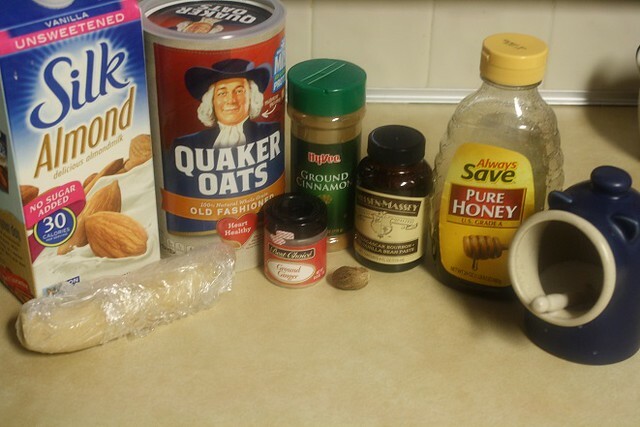 Finally it’s time to add the spices to really make it taste like oatmeal cookies by adding in 1/2 teaspoon of ground cinnamon, 1/2 teaspoon of vanilla, 1/4 teaspoon of ground ginger, a pinch of freshly grated nutmeg (or you can use ground nutmeg from the store), and a pinch of salt. 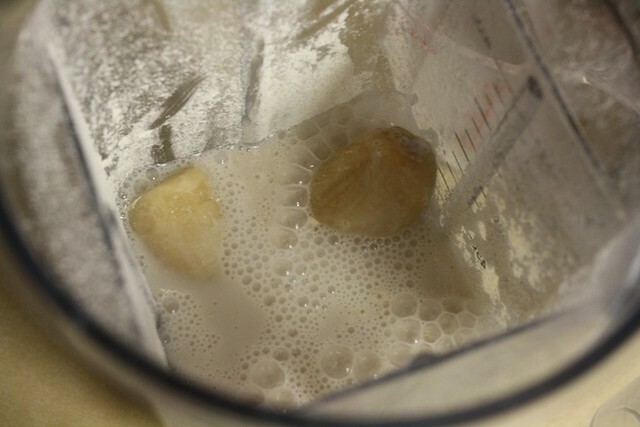 Then blend at high speed until the mixture is completely smooth. That’s it! You’re all done. Serve up this delicious smoothie immediately and enjoy! I topped mine with a touch of cinnamon and some oats, so garnish as you like. Happy smoothie-ing! 1. 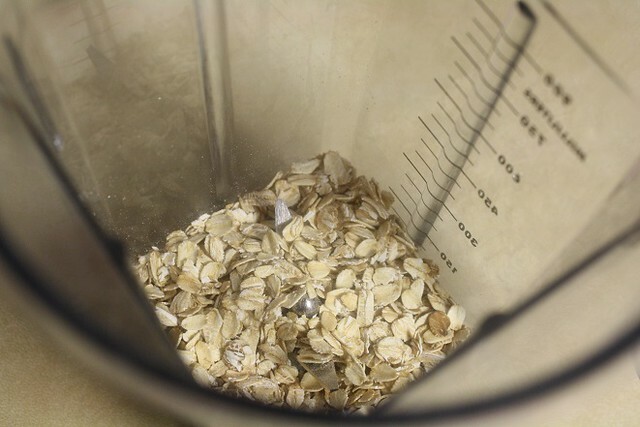 Start by blending the old-fashioned oats until they are finely ground. 2. 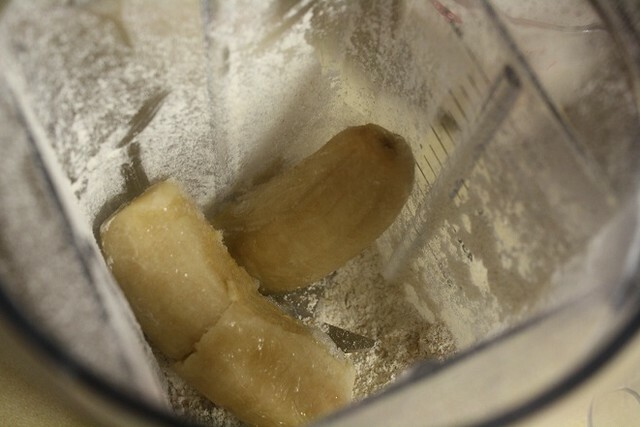 Add the rest of the ingredients to the blender and blend until the mixture is completely smooth.